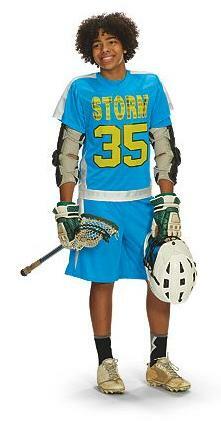 Team Colors has a good selection of tops and shorts in lots of colors for your lacrosse teams in games or practice. Contact us with your ideas and we'll get to work putting together an affordable, functional and great looking set. Men's, Women's, youth, selections in short sleeve, long sleeve, or sleeveless. Don't forget under layers, socks and outerwear to fight the elements. Email us to set up a meeting to see what we can do for you at sales@teamcolorswa.com. 100% polyester tricot mesh body, 100% poly dazzle side inserts. Collegiate cut, designed to accomodate pads, set-in sleeves, NFHS. 100% polyester tricot mesh body, 100% poly dazzle shoulder and side inserts. 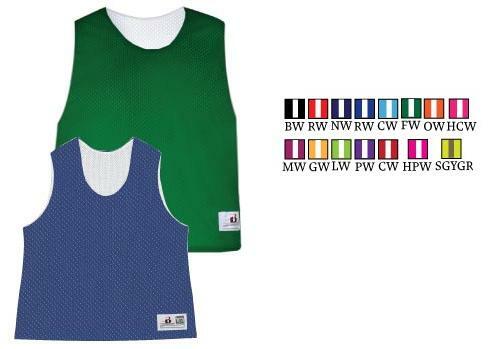 Collegiate cut, designed to accomodate pads, set-in sleeves, NFHS. 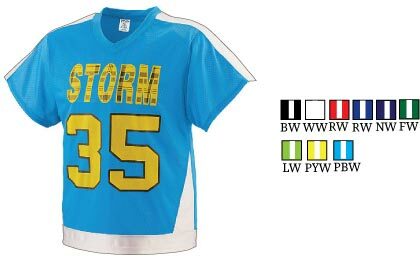 100% polyester tricot mesh body, 100% poly dazzle side inserts, 100% poly lining. 9 in. inseam, NFHS. 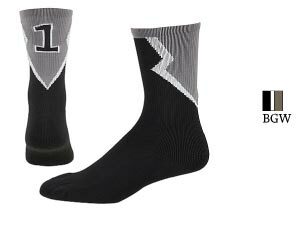 Roster Sock - $4.90 ea. Numbers 0 thru 9, or blank. Each sock sold separately. 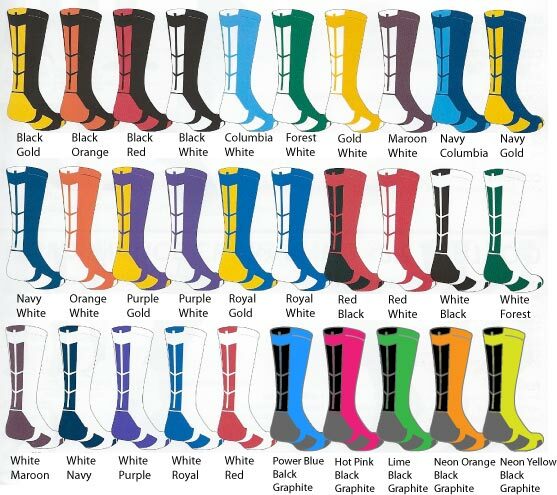 82% nylon/9% polyester/4% spandex/5% elastic wicking yarn * Wicks moisture * Calf length * Heel/toe construction * Contrast back insert features lightning bolts down the side * Breathable mesh at top of foot * Extra cushioning and support in area of the foot and ankle that are susceptible to rubbing, impact or injury * Arch compression reduces fatigue and aids circulation * Ideally used for Basketball, Lacrosse, Football or Volleyball. 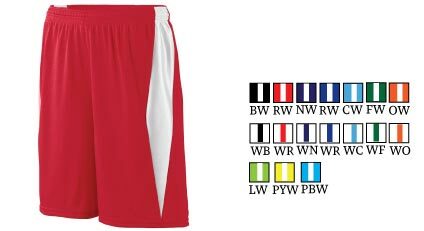 55% Polyester/22% nylon/20% cotton/3% spandex. Wicks moisture. Calf length. Heel/toe construction. Contrast color design on back. Arch compression reduces fatigue and aids circulation. Extra cushioning and support in areas of the foot and ankle that are susceptible to rubbing, impact, or injury. Mesh vents increase breathability. This page is under construction. 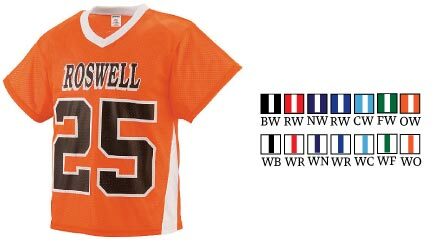 Contact us for more lacrosse options.